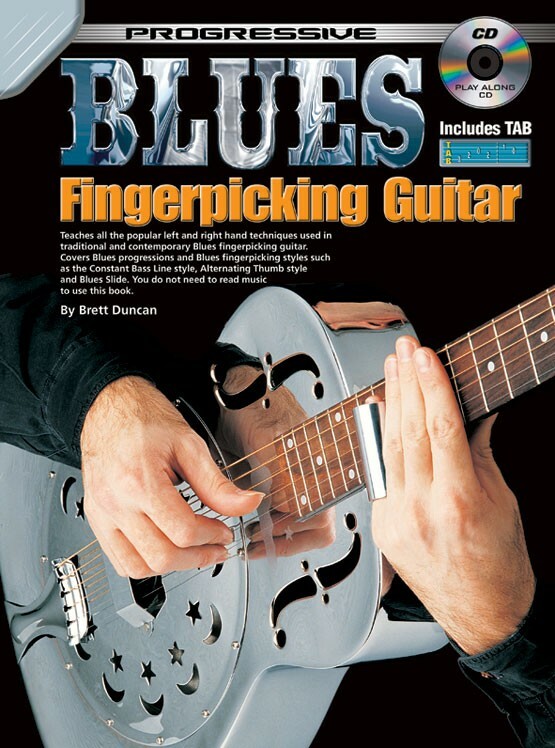 Teaches all the popular left and right hand techniques used in traditional and contemporary blues fingerpicking guitar. 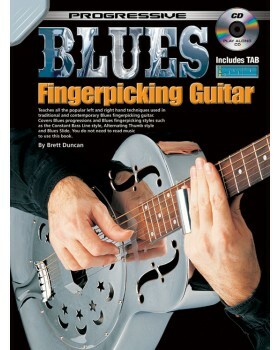 Covers blues progressions and blues fingerpicking styles such as the constant bass line style, alternating thumb style and blues slide. You do not need to read music to use this book.